First, let me tell you a little secret. Up until a few months ago, wedding invitation design scared me. While I knew I could create a beautiful design, I also knew that there was so much more than ink, paint and Adobe Illustrator involved in creating the finished product. There were many things I felt unsure about, like how long the process would take, how I should present my design proofs, what I’d do if a couple wanted extras like a wax seal, or ribbon, etc. With all of those unknowns, I knew I couldn’t create a consistent and positive experience for my couples, and worse yet, I worried that I’d unintentionally get myself into a situation where I couldn’t deliver what I’d promised. I knew I needed to wait, and invest time into figuring out all these details before I could confidently promote custom invitation design as a service. This was not an easy decision at the time! I worried that I’d get left behind, and there wouldn’t be any demand once I was ready to go for it. I also knew, however, that I had the potential to really hurt my business by doing something I wasn’t ready for. So I trusted my instincts, and spent time earlier this year figuring out my design process, creating a contract, establishing pricing, researching materials, and so on, and guess what? 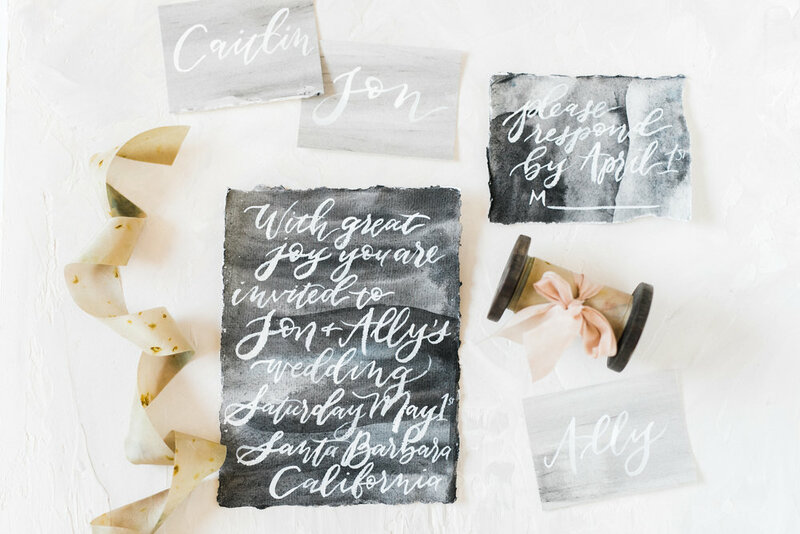 The fear surrounding the invitation design process has disappeared, and been replaced by joy. I’m officially offering custom invitation design for 2018 brides, and I could not be more excited! Now when a client comes to me, I’m confident not only in my design skills, but that I’ll be able to deliver a beautiful finished product. I can now easily communicate what my design process is to clients, so they know what to expect if they decide to work with me. It used to feel slightly terrifying to have the responsibility of designing a couple's wedding stationery, and now it feels like an honor. I'm hopeful that this will be a wonderful new addition to my business, but above and beyond that, I'm just happy that I now feel ready to serve the couples that trust me with such an important part of their wedding to the best of my ability.